Jeremy Lin has taken over the NBA for almost one week now. He has been notching such high scoring numbers. Among his notable performances was his 25 point output against the Nets and his 28 points against the Jazz. He's doing well so far, so much so that Knicks' fans have labeled the Knicks' brand of play as the "Lin Show" because of their newest star point-guard J-LIN. And as usual, if there are those who are more than willing to ride the bandwagon for Lin because they are convinced that the kid can play, there are also those who are not convinced. One of them is the Black Mamba, Kobe Bryant. "I know who he is, but I don't really know what's going on too much with him. I don't even know what he's done. Like, I have no idea what you guys are talking about. I'll take a look at it tonight though." [Asked again about Lin] "I don't even know what the [fudge] is going on. What the [fudge] is going on? Who is this kid? I've heard about him and stuff like that, but what's he been doing? Is he getting like triple doubles or some [stuff]? He's averaging 28 and eight? No [stuff]. If he's playing well, I'll just have to deal with him." Well, the very humble and composed Lin didn't bother to give a comment on Kobe's statement. Instead he just scored 38 points, 4 rebounds, 2 steals and 7 assists in a 92-85 win against the Lakers. He let his game speak for himself. 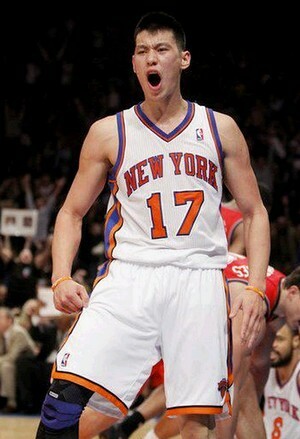 I can't wait for Kobe's reaction after the Knicks beat them anchored on Lin's monster game. Just relish the video below. Thanks YouTube!